Founded by ex-Ensiferum frontman Jari M?enp?? in Helsinki, Finland in 2004. Wintersun is a Finnish Metal band with an array of influences ranging from (but not limited to): Power Metal, Folk Metal, Melodic Death Metal and even Progressive Metal (although the exact genre is debatable). Jari has spoken about the genre of Wintersun's music, and says "Well it?s difficult to put into a certain genre, cause there's lots of variation. Jari has spoken about the genre of Wintersun's music, and says "Well it?s difficult to put into a certain genre, cause there's lots of variation. But to describe it, I would say something like: Extreme Majestic Technical Epic Melodic Metal." He has also stated "But it's really not death metal. It's very difficult even for me to label it, but if somebody would put a gun on my forehead, I would probably say something like Extreme Melodic Majestic Metal." 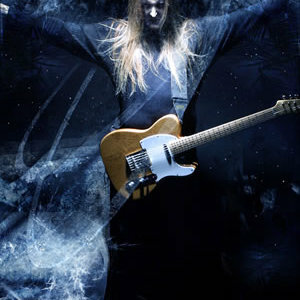 The first Wintersun album, "Wintersun" was scheduled for recording early in 2004 a time frame which clashed with the Ensiferum European tour. Jari M?enp?? was forced to choose between his booked recording time for Wintersun, or the Ensiferum tour; he chose Wintersun and was forced to leave Ensiferum behind. Wintersun's self titled album was produced solely by Jari M?enp?? himself, with only a session drummer (Kai Hahto) to perform the drums and percussion. Jari performed the vocals, bass, guitars and programmed the synth on his own. Indeed, the album was conceptualised purely as a solo project in tandem to Ensiferum (evident by the fact that the Wintersun album bears M?enp?? 's name on the front). The live Wintersun line up consists of two other players in addition to Hahto; Teemu M?ntysaari (Imperanon) plays guitars and Jukka Koskinen (Norther) plays bass. Live keyboards come from background tapes because Wintersun hasn't yet found a suitable keyboardist. This is due to the fact that there are a lot of intricate keyboard passages in Wintersun's music and Jari has stated that there would probably have to be two live keyboardists in the band to make it work.